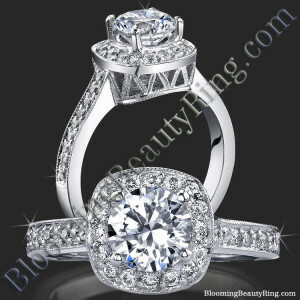 Halo Engagement Rings are a style of engagement setting that typically features a center diamond that is surrounded by multiple smaller diamonds. 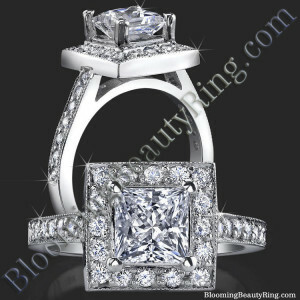 This beautiful ring style is available in just about any diamond shape including the very popular Round and Princess cuts, as well as the more unique diamond shapes such as Cushion, Radiant, Marquise or even Emerald cut. 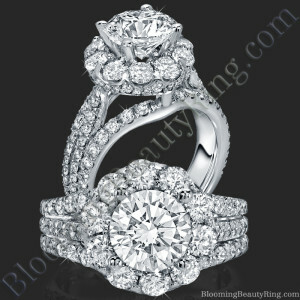 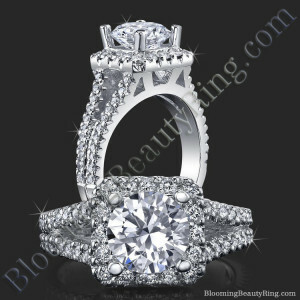 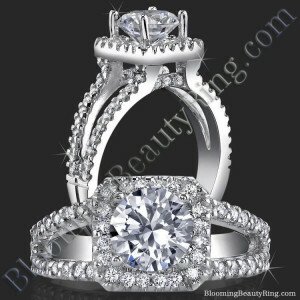 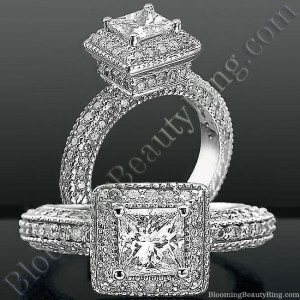 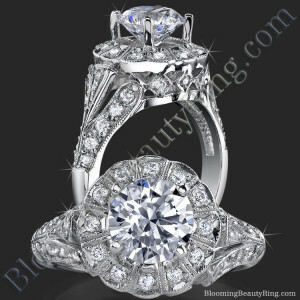 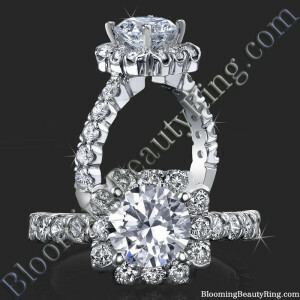 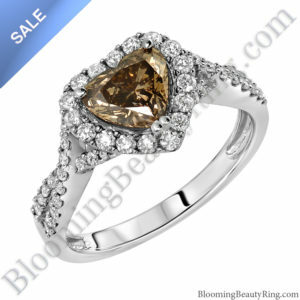 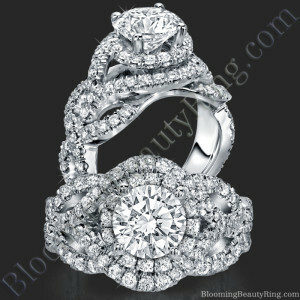 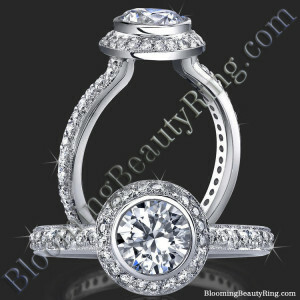 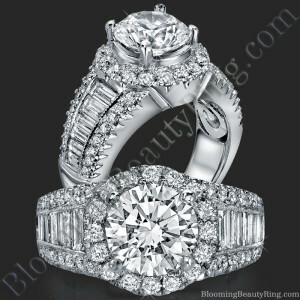 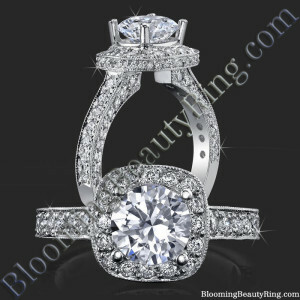 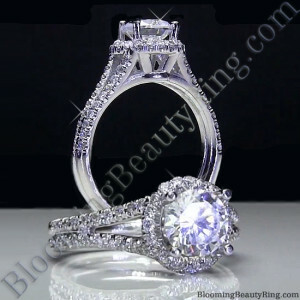 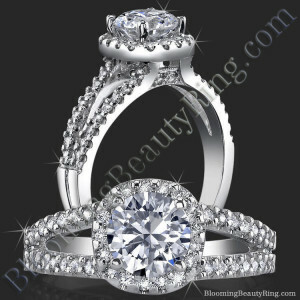 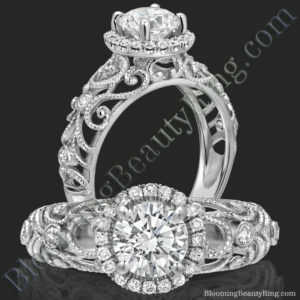 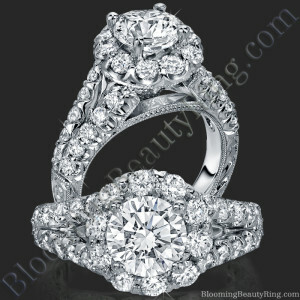 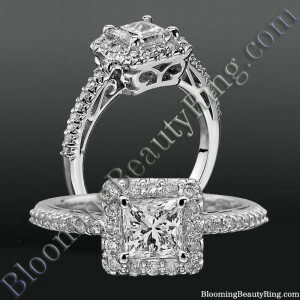 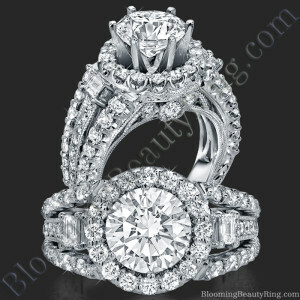 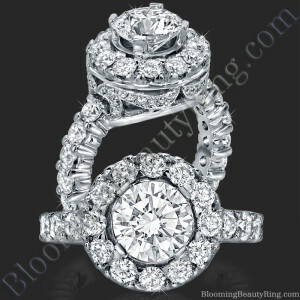 Engagement Ring Styles will come and go, however Halo engagement rings offer timeless beauty. 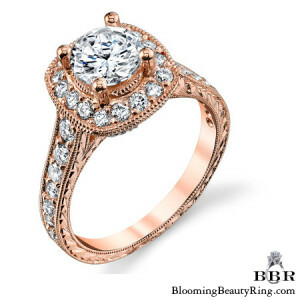 Tip: Halo Engagement Rings radiate brilliance and sparkle because of all the diamonds that are wrapped around the center diamond. 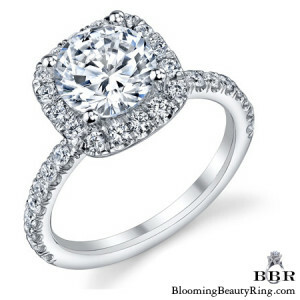 Another benefit of a Halo style setting is that it can make your center diamond look larger, as well as keep your overall cost lower.